Posted on July 7, 2012 by Michelle M.
There are many constellations in the universe. Many are named for birds. They include Apus (bird of paradise ), Aquila (eagle), Columba (dove), Corvus (crow), Cygnus (swan), Grus (crane), Pavo (peacock), Phoenix (mythical bird) and Tucana (toucan). How the astronomers missed this one, I’ll never know. 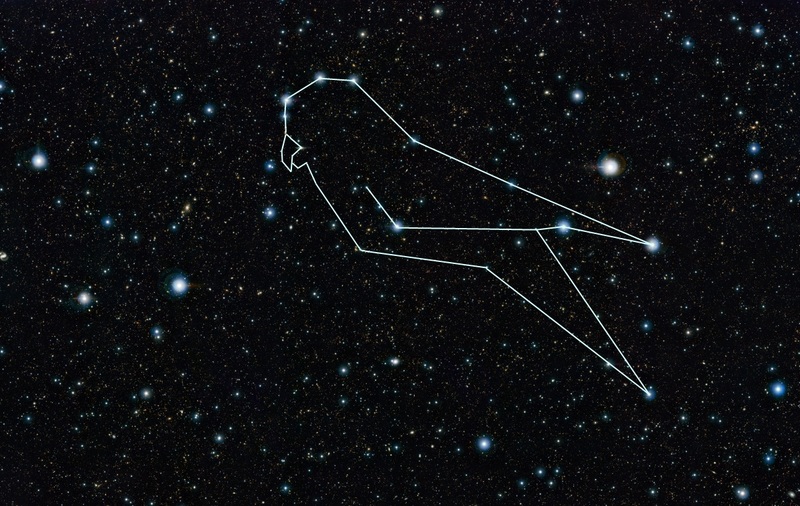 This entry was posted in That's Better and tagged budgie, constellation, Cooper, Melopsittacus undulatus, parakeet, stars by Michelle M.. Bookmark the permalink. I think that one is right next to the Spring constellation!